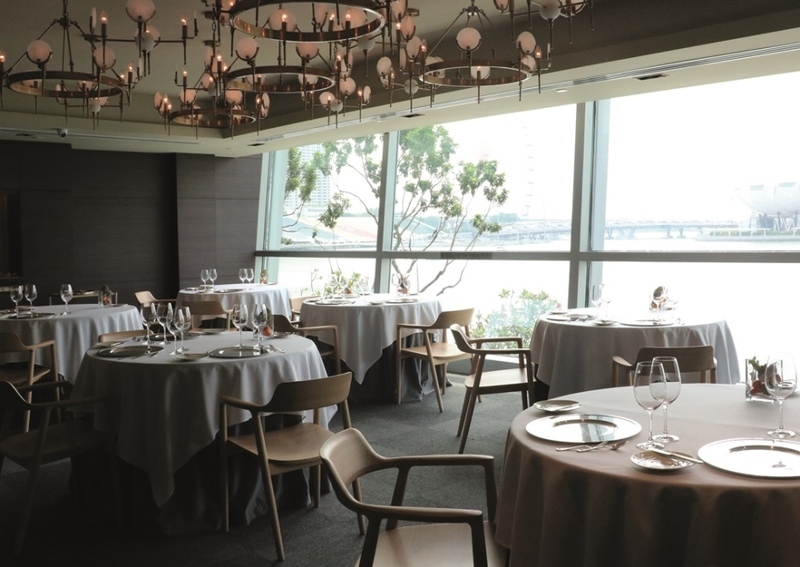 Back for its third year in the city, the Michelin Guide has unveiled its curated list of the best places to have a meal in Singapore. 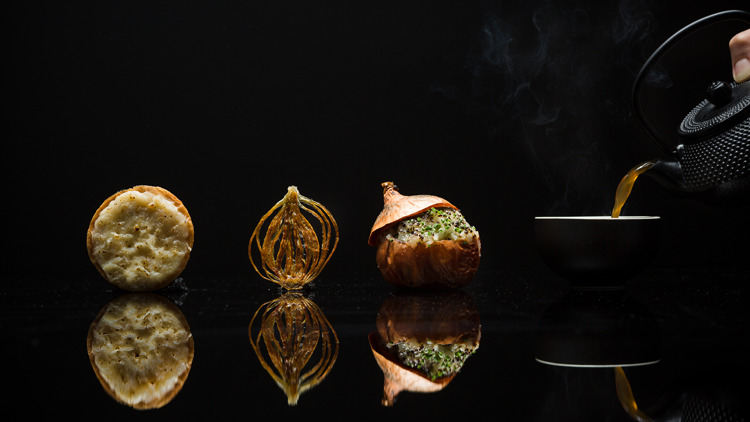 This year, a total of 39 restaurants have been conferred that elusive star – or, as the French call it, 'macaroon' – by the epicurean manual. 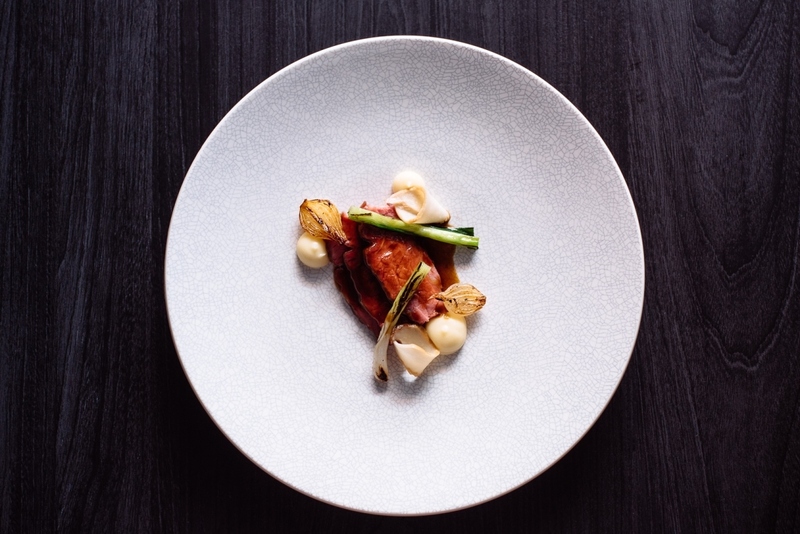 The guide uses five criteria to assess these restaurants: mastery of technique; quality of ingredients; chef's personality; value for money; and consistency. 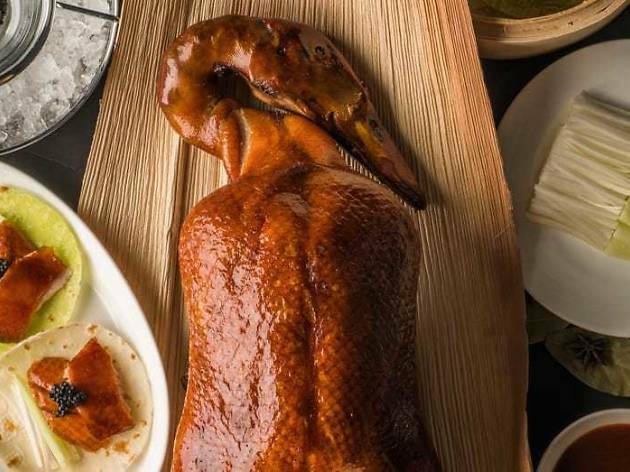 The list leans towards fine-dining restaurants that offer degustation menus that often cost upwards of $100, however, it also names some hawkers and casual spots like Putien if you don't want to break the bank. 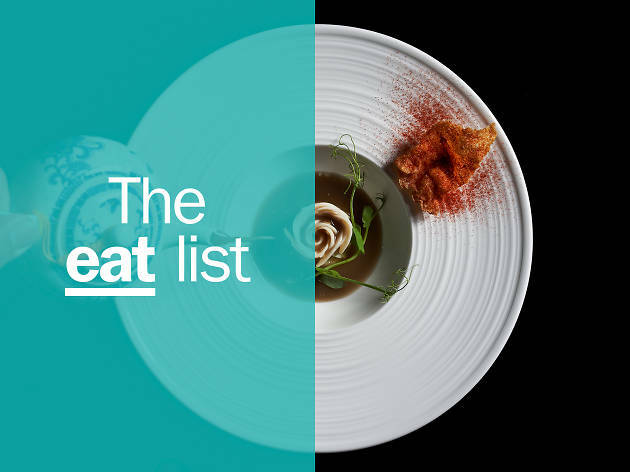 Alternatively, head over to this list of restaurants that earned a Bib Gourmand award, Michelin-recommended meals that cost less than $45. 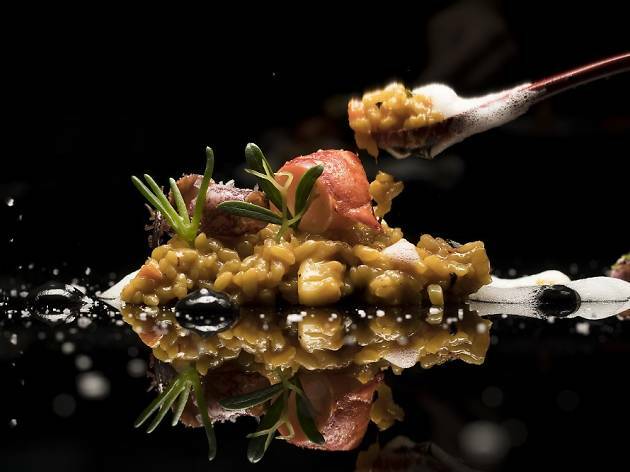 Swabian chef Juan Amador, whose now-defunct restaurant Amador in Mannheim once held three Michelin stars, brings his Asian-inflected Spanish-European cuisine to Goodwood Park Hotel. 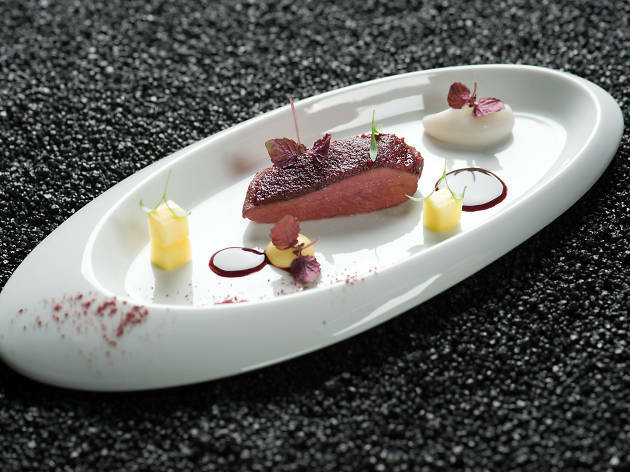 Food is prepared by chef Haikal Johari, who has cooked at Joël Robuchon and Les Amis. 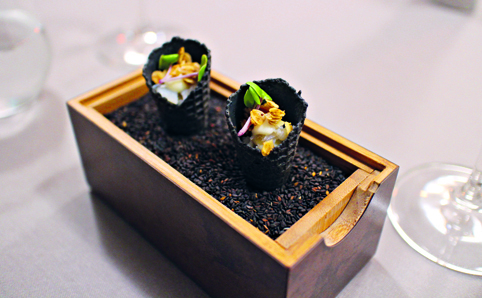 Diners can opt for the six- ($138) and eight-course ($178) degustation menus of Amador's signature dishes. If you’ve eaten at Bacchanalia, you’ll be happy to learn that cutting-edge techniques and intriguing dish dissertations are very much in the kitchen team’s wheelhouse, and is now served up here in five- ($125) and seven-course ($165) doses. Alternatively, come for a three-course lunch ($45). Chef Kenjiro Hashida, the man behind Hashida Sushi and Hashida Garo, fuses French and Japanese cuisines at this fine dining restaurant, which seats only 15 around an open kitchen. With an all-Japanese culinary team led by head chef Kenji Yamanaka, Béni serves mains such as Sakura Daurade: pan-fried sakura sea bream with sakura shrimp and fish mousse on the three-course lunch 'Expérience' menu ($58), and Brittany blue lobster and Ozaki wagyu for dinner ($298). 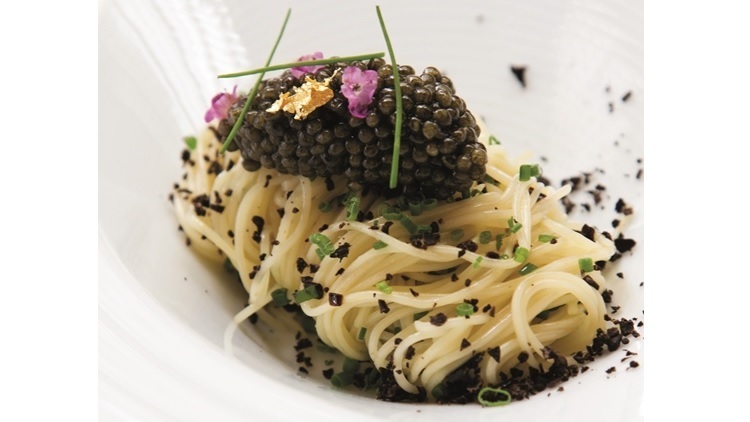 For Italian fare reinvented with a modern twist, visit BRACI. The exclusive casual-luxe restaurant features an open kitchen and rooftop bar, all situated within a newly restored shophouse. 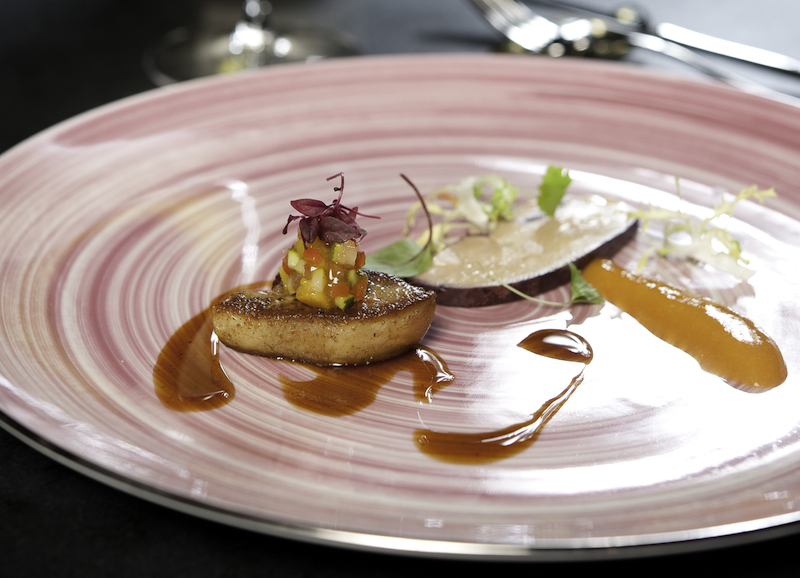 The starter menu features classics like millefeuille, usually made for dessert, reinvented with tuna, truffle and mushrooms ($28), and a foie gras semifreddo with kumquats and fig vincotto ($26). Mains include grass fed beef tenderloin with chanterelles and truffles ($58), and duck breast that boasts crispy duck skin and heirloom carrots ($38). Finish off the night with a pumpkin pie with frozen yogurt and liquorice ($18). Alternatively, for $100 per person, book a surprise 5-course menu for the whole table. There’s something incredibly honest about a solid slab of meat coaxed over open flames into a lovely charred outer while remaining tender and juicy on the inside. At Burnt Ends, this a thought that executive chef David Pynt brings to life effectively with the help of two well-insulated cement-walled ovens (be sure to look above it every once in a while – fire tends to escape in a tempered rage from a spout) and a series of impressive grills raised and lowered by an industrial-looking winch and pulley system designed by Pynt. 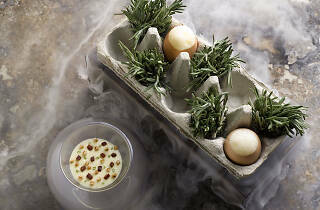 The menu is split into snacks, appetisers and meat offerings – all designed with minimal frills. 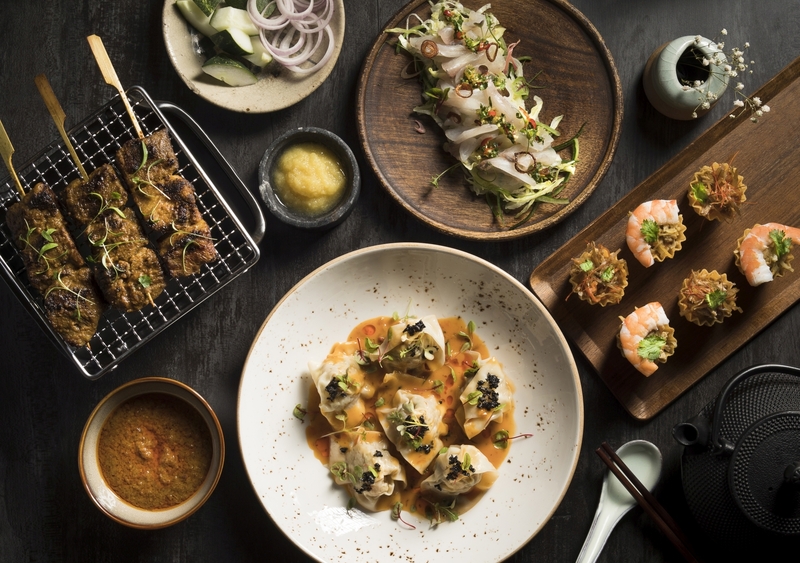 In keeping with the cuisine's penchant for borrowing influences from the East and West, dishes here are gussied up with premium ingredients. Lunch is offered à la carte, but at dinner time, the kitchen serves what it calls a 'tasting menu'. 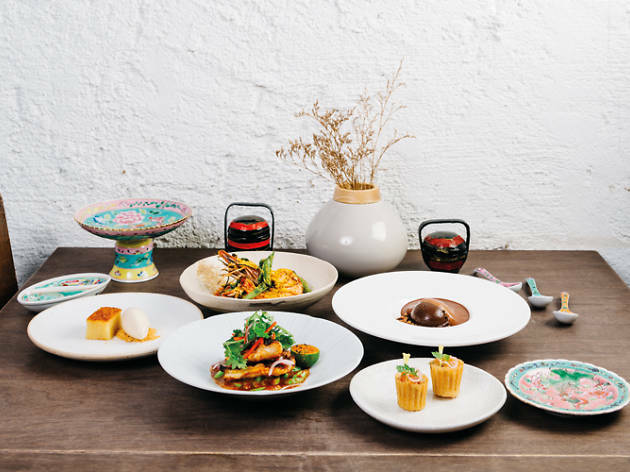 Except it isn't so much titchy degustation portions as it is a pre-selected set ($65) of rich dishes – which change weekly – that the kitchen churns out every evening. Think turmeric-rich 'Yeye' crab curry wrapped in roti jala and topped with a cucumber pickle, laksa-scented hamachi heaped in a translucent pie tee shell, and thick fingers of potently spicy lamb satay. 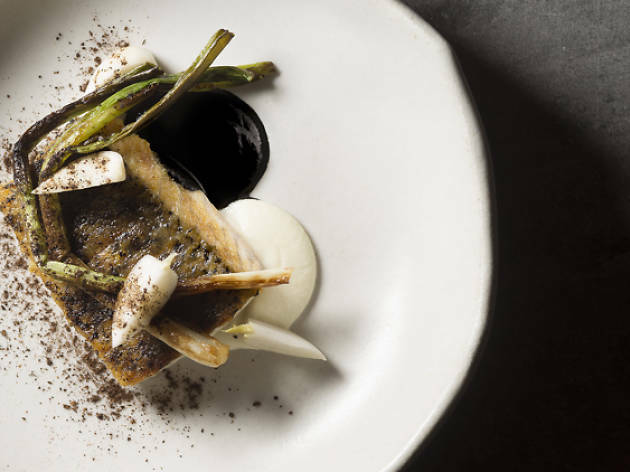 This modern Australian restaurant is helmed by chef Rishi Naleendra, a smiley Sri Lankan transplant to ’Straya who ditched a degree in architecture for a journey through illustrious Aussie restaurants like Taxi Dining Room and Tetsuya’s. 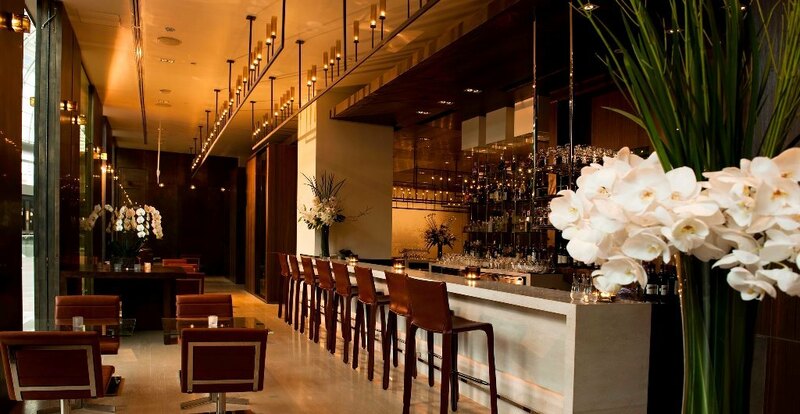 The menu is unfussy with a two-course lunch starting from $42 to a seven-course dinner priced at $118. The bar stools by the open kitchen are the best seats in house if you want to be close to the action. 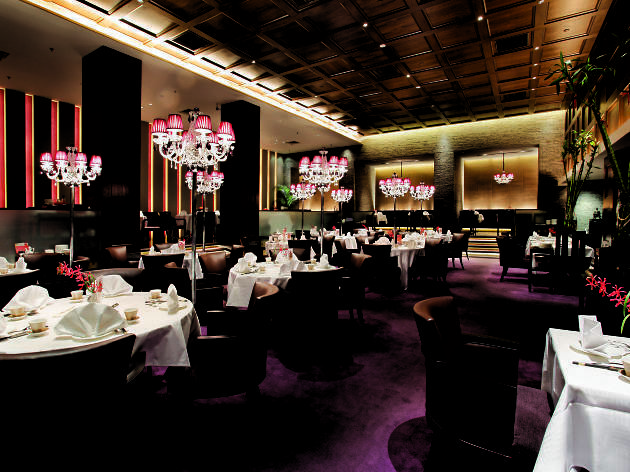 Helmed by chef Ang Song Kang, Chef Kang's is an intimate five-table joint that serves traditional Cantonese fare. Signatures include deep-fried pork belly marinated in shrimp paste, a twist on the local favourite har chong gai as well as steamed empurau, a fresh-water fish known for its clean flavour and exorbitant price. Chef Kang's is constantly booked and certain dishes are only available with advanced notice so early reservations are highly recommended. 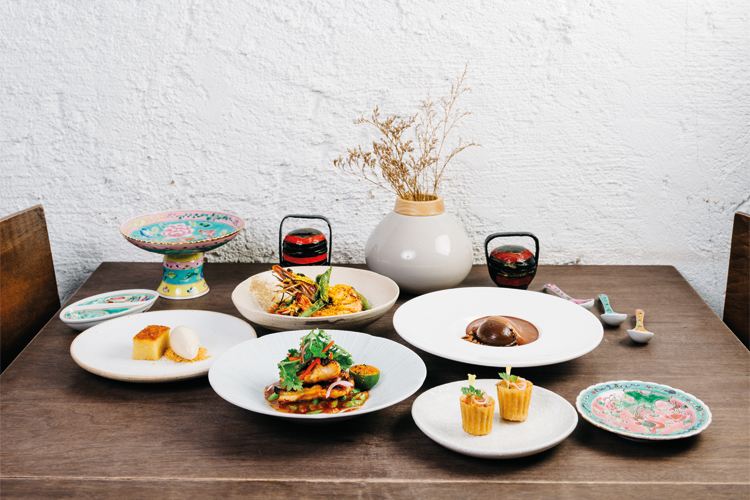 The cuisine is self-appointed as 'gastro-botanica', which takes influences from Mediterranean, Latin American and South-East Asian cooking to fire dishes that give equal reverence to veggies and protein. 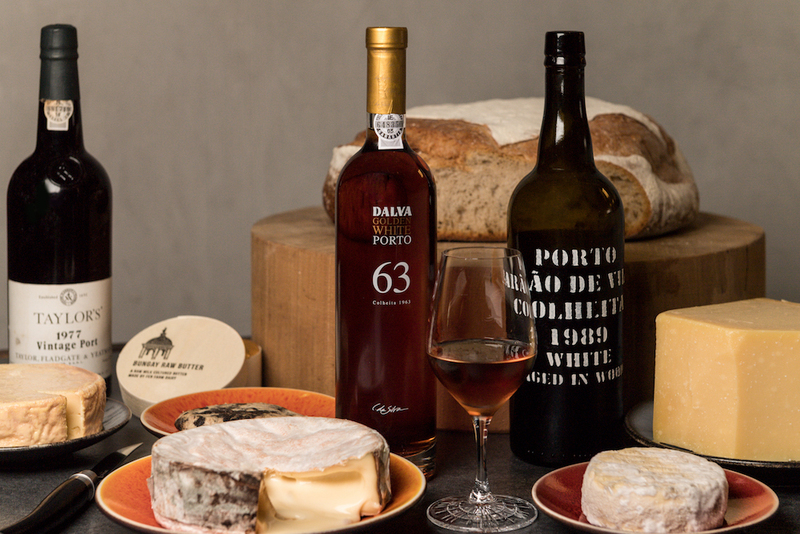 The entry-level meal here for a romantic night out is a four-course set ($148). 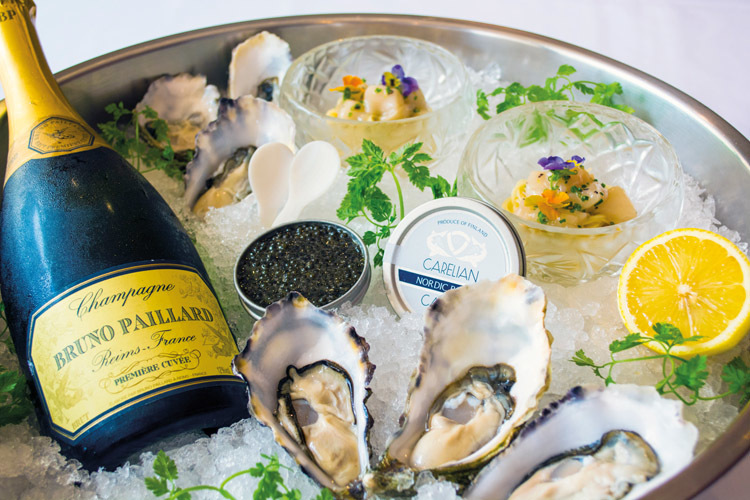 Or splash some serious money on a special night out with the seven-course chef’s menu ($258). The stalwart fine dining restaurant of Singapore-based Chinese culinary group, Crystal Jade Golden Palace serves contemporary Cantonese and Teochew cuisine in a refined setting. 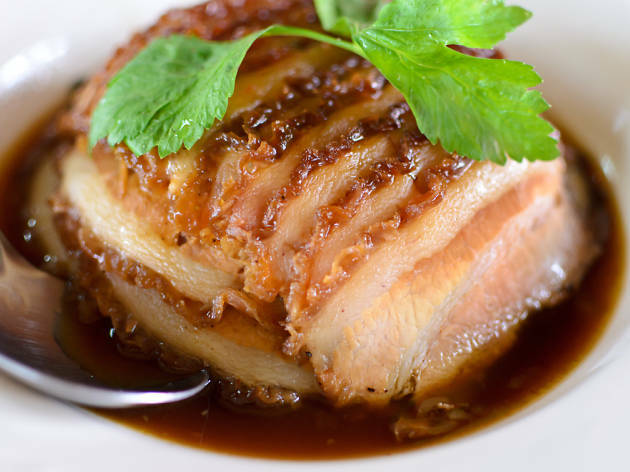 Set menus start from $48 for six dishes including dim sum and a pan-fried Kurobuta pork chop. 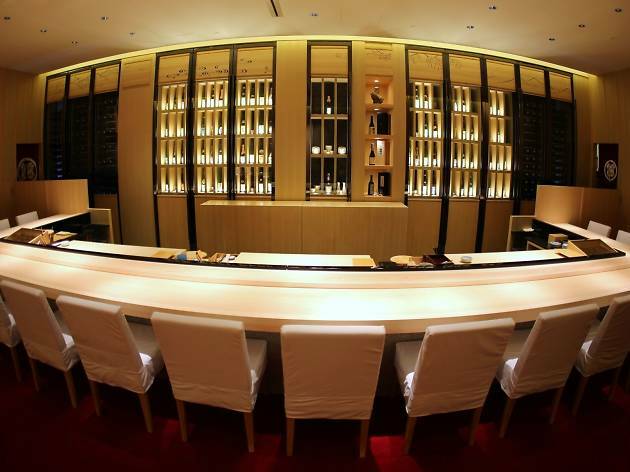 The expansive restaurant also boasts a 6-metre-wide wine cellar that stocks hundreds of fine wines. You go to CUT for one reason: the steaks. 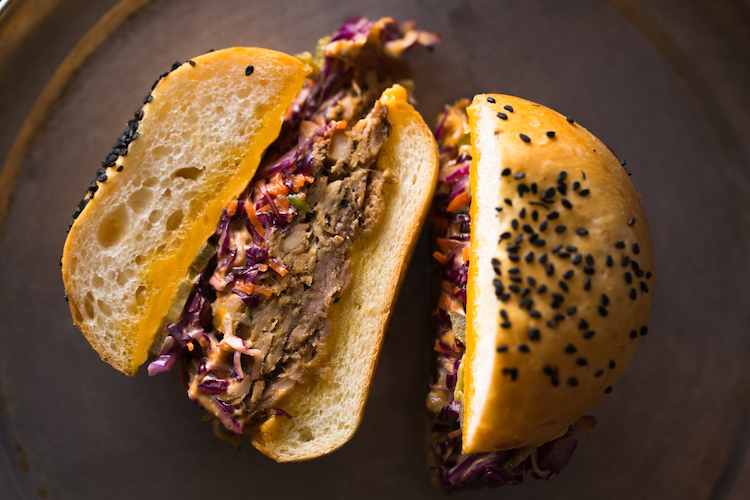 Grilled over hard wood and charcoal, the hunks of beef come from a menagerie of sources. You've got USDA Prime from Illinois, Angus and wagyu from Australia, Red Poll from Suffolk, wagyu from Idaho, and even more wagyu from different prefectures in Japan. Each type is further broken down into different cuts, ranging from rib-eyes to New York strips to bone-in filet mignons ($75-$280). Garibaldi is a chic, modern Italian eatery situated along the funky Purvis Street. The fashionable and sophisticated atmosphere as well as the stylish bar make this a popular venue to gather and socialise. 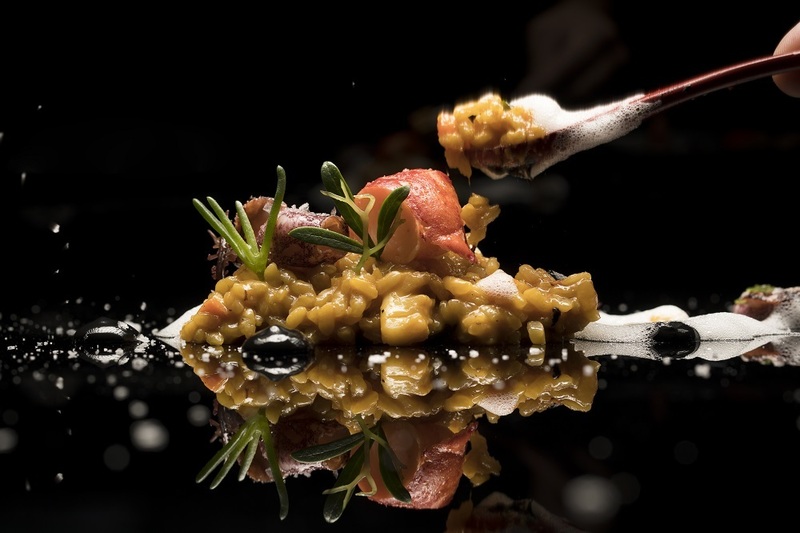 With experienced Executive Chef Roberto Galetti from Brescia, Italy, calling the shots, it’s no wonder the award-winning restaurant has never failed to attract the crowds. His tantalising menu consists of authentic Italian dishes created from fresh, quality ingredients imported directly from Italy, and it includes specialties like crispy baked Italian sea bass ($48), breaded veal chop ($58) and linguine with crab meat and vodka sauce ($35). 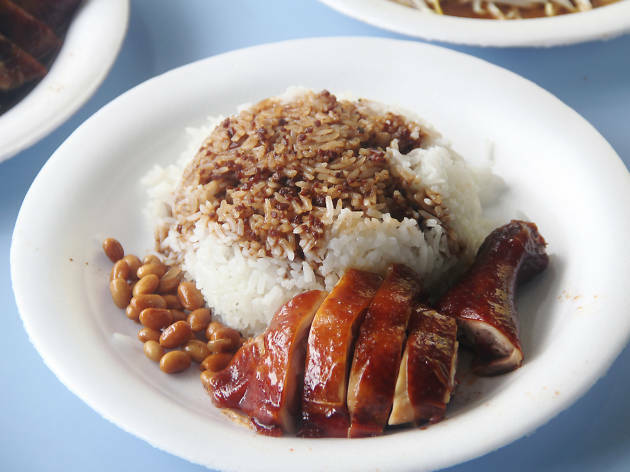 A one-Michelin-starred meal for five bucks? That's what you're in for when you make the trek to this humble kopitiam in the heartlands of Lavender. The bak chor mee ($5-$10) here is arguably the best in Singapore: springy noodles, crispy fried fish, pork liver, minced and sliced pork and dumpings swim in a vinegary sauce that you'll be licking clean. 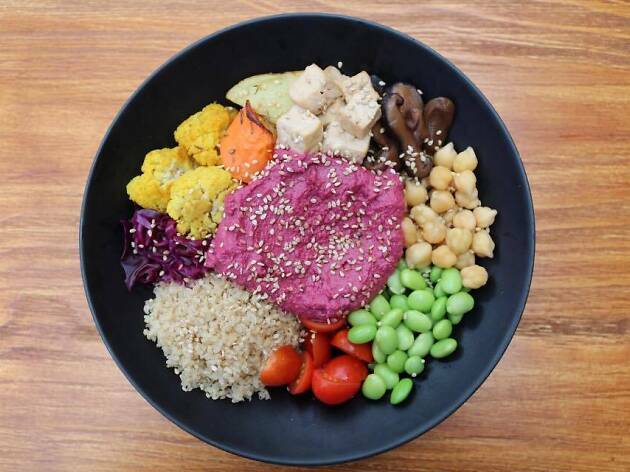 Allocate enough time to queue up, though – it may look deceptively short, but with each order taking anywhere between 5 to 12 minutes to prepare, getting to the front is a bit of a wait. 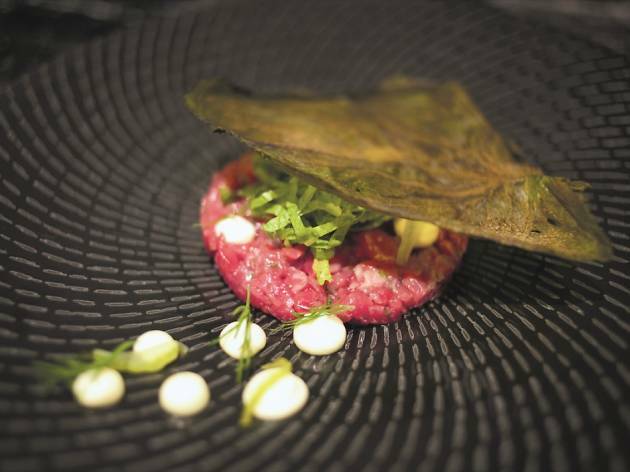 Expect premium Japanese ingredients sourced by Tokyo-based runners and touches of Singaporean flavours – all pulled together with modern European techniques chef Aitor Jeronimo Orive honed cooking in avant-garde restaurants around Spain. 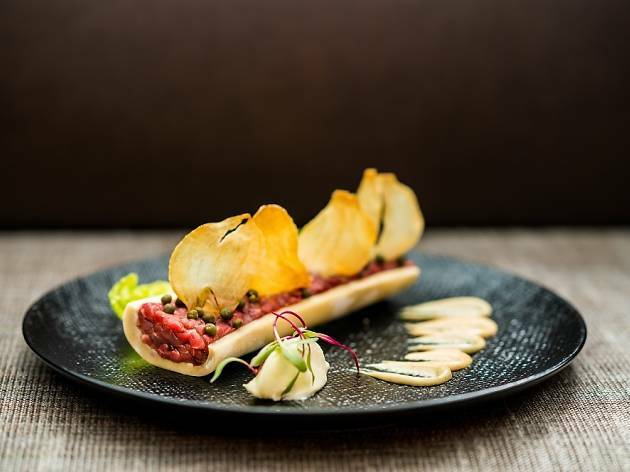 Each meal ($85/lunch, $195/dinner, up to $235/eight-courses) begins with a series of seasonal snacks such as the innovative roti john made with a spread of chicken liver mousse, foie gras and mushroom duxelles sandwiched between apple meringue. Other highlights include the rich Carabinero bomba rice cooked with morsels of squid and a thinly sliced disc of cold Carabinero carpaccio for a contrast in flavour and texture. Not to be forgotten are the wines at Iggy's. Award-winning sommelier and founder of the restaurant, Ignatius Chan, has amassed a 25,000-strong bottle wine list with a focus on wines from Burgundy. 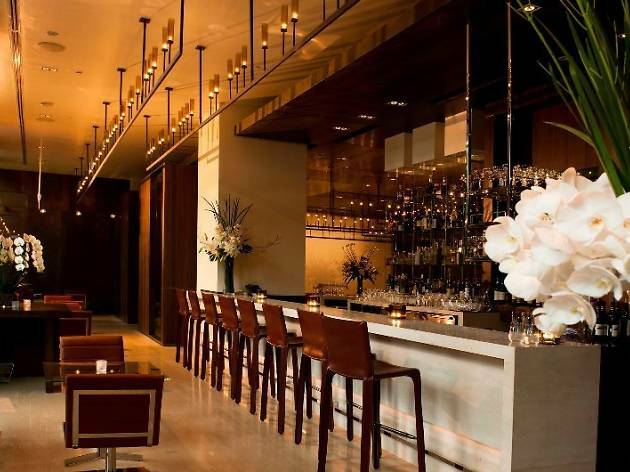 At Iggy's gastro-bar, savour rare wines by the glass (from $19) or opt for the blind tasting flight ($65), where the sommelier will pick three glasses to best pair with your meal. 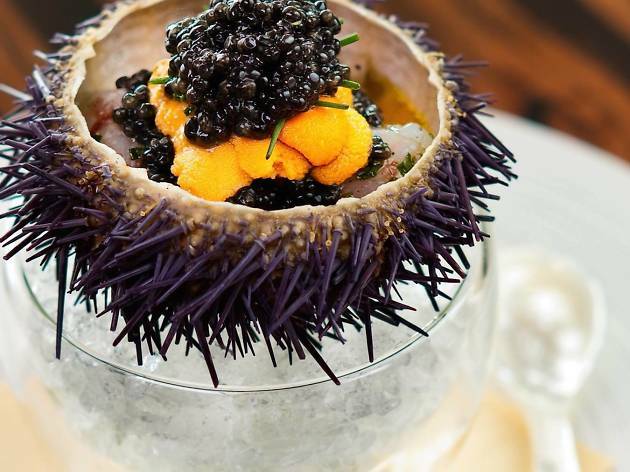 The bar menu isn't just made up of light bites such as pintxos ($26) and croquettes ($16), mains like Iggy's signature sakura ebi capellini ($26/$34) and Toriyama wagyu burgers ($38) are also available. 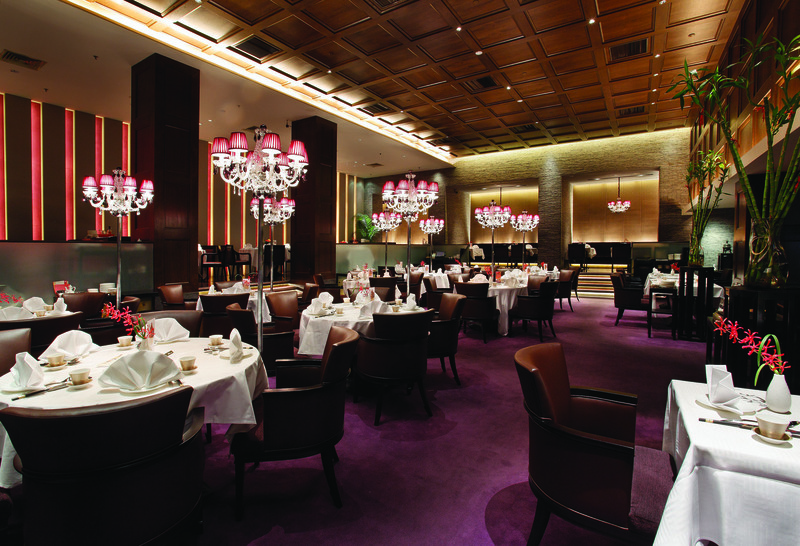 Imperial Treasure opened its first outlet in 2004 at Ngee Ann City. 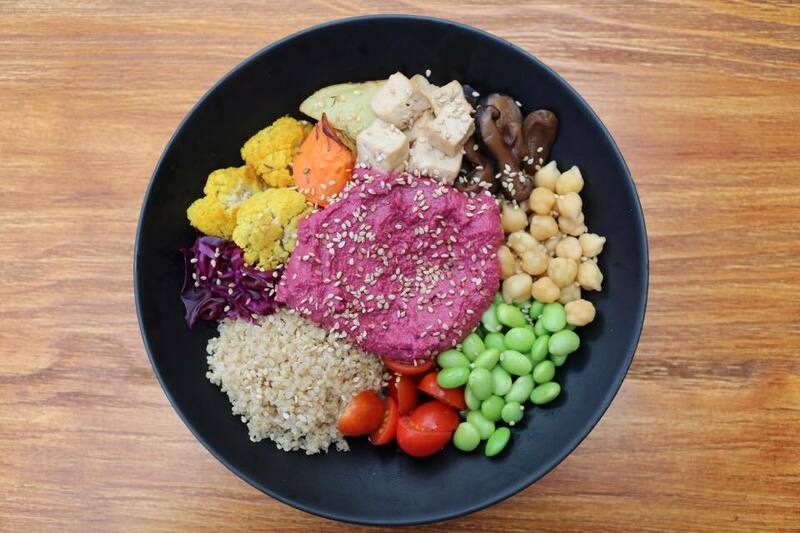 Since then, the brand has grown to 30 restaurants across Singapore and Shanghai, with plans to expand to South Korea, Paris and London in the next two years. 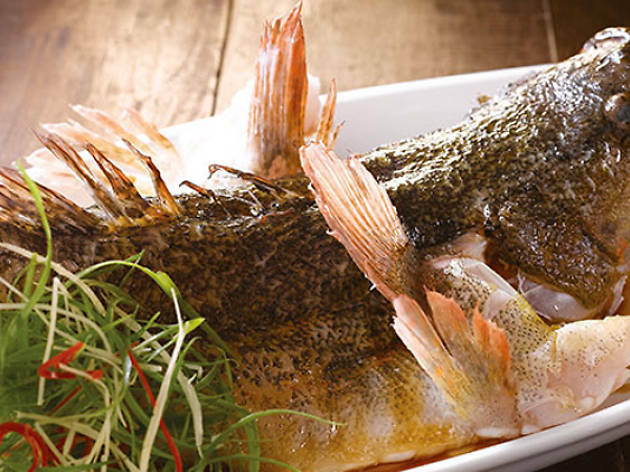 Imperial Treasure Fine Teochew Cuisine in ION Orchard is a more refined version of the original, with a spacious main dining hall and six lavish private rooms. 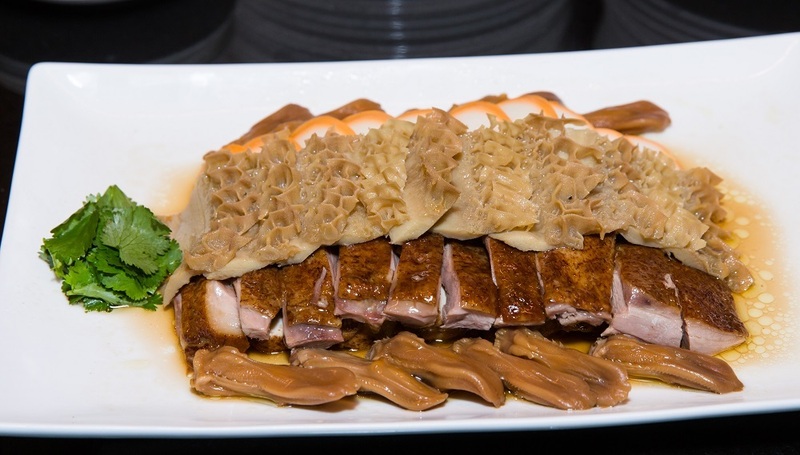 Signature dishes include diced abalone and chicken wrapped in egg white ($25), soon hock fish ($10/100g) served in a broth with minced pork and Chinese cabbage, and a combination platter of sliced duck meat, duck tongue, cuttlefish and beef tripe marinated Teochew style ($34-$68). 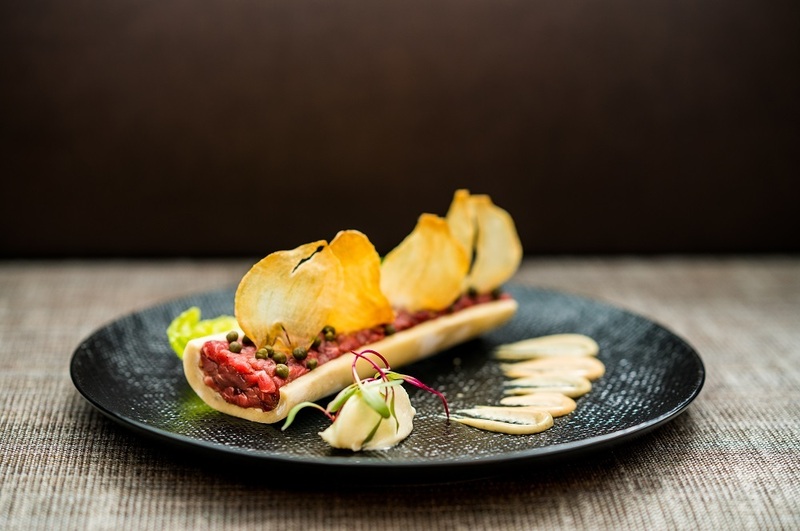 With breathtaking views of the Singapore skyline, Jaan is an intimate 40-seat restaurant that takes you on a culinary journey to chef Kirk Westaway's hometown of Devon. 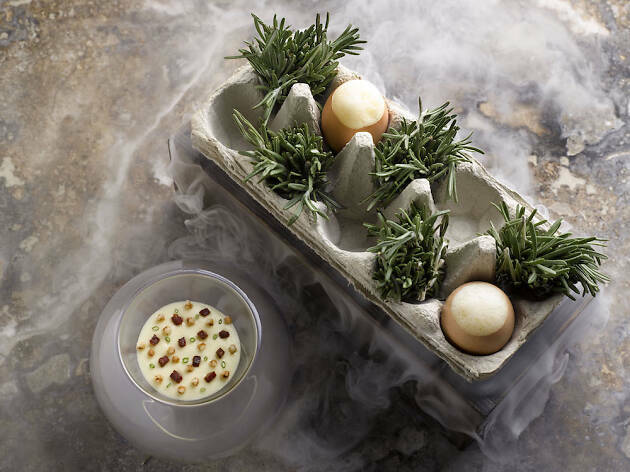 The small seaside town off the south-western coast of England continues to be a source of inspiration in Jaan's menu, which focuses on fresh seasonal produce. 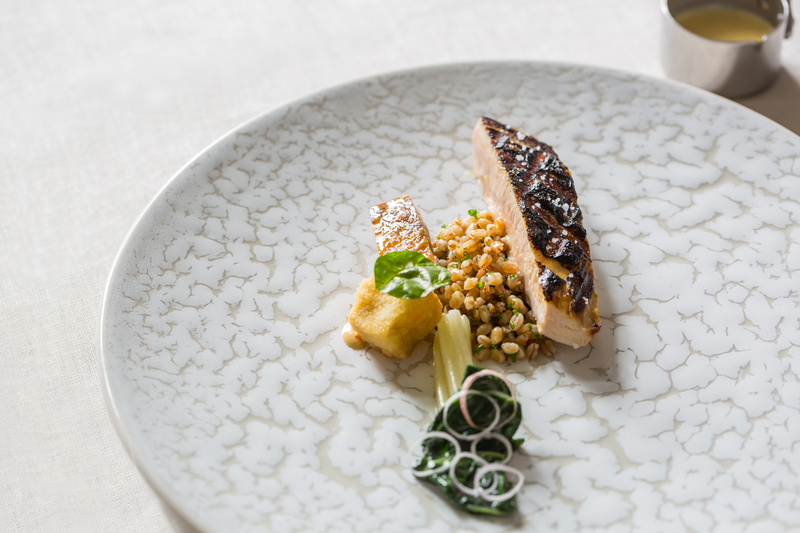 A three-course lunch at Jaan is priced at $78 and allows you the choice of dishes like Landes foie gras, line-caught brill and Iberico pork. 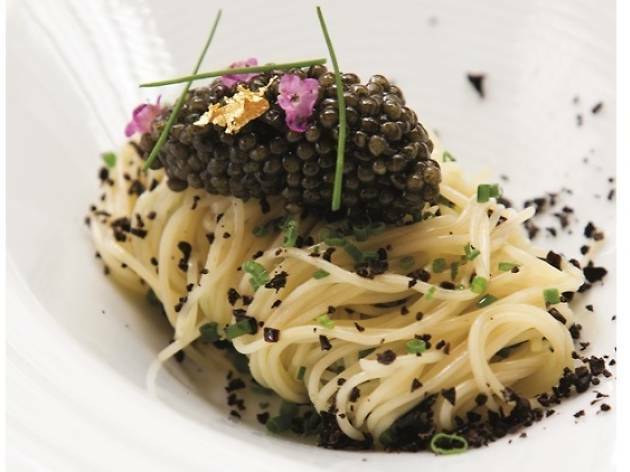 The most extravagant menu is reserved for dinner, where each of the six courses is paired with a different glass of Krug ($498). With all that timber panelling, the dining room feels a little claustrophobic, while the acoustics are so bad you spend the whole meal forced to speak in whispers or risk having everyone at the next table listen in on every word. Thank goodness, then, for the calibre of the kitchen and the silkysmooth service. It’s the simple dishes that shine; like lush oniony mapo tofu, dark green kai lan braised in a rich stock, and soft tofu seared with chicken pieces, salted fish and chunky bites of Chinese mushrooms. 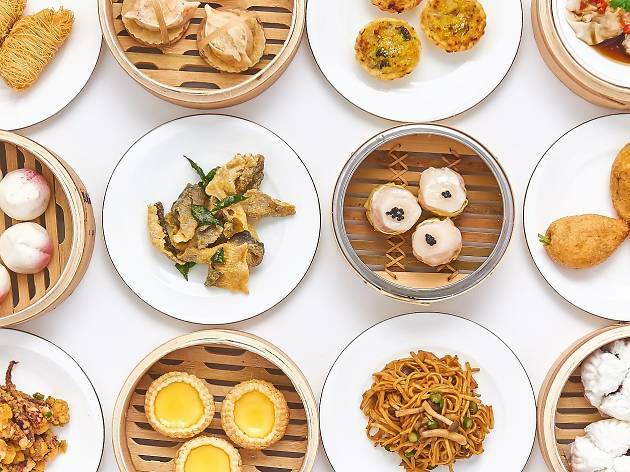 The dim sum menu is particularly good with the yam dumpling – creamy and crunchy with little diced carrots and water chestnuts – one of the best in town. 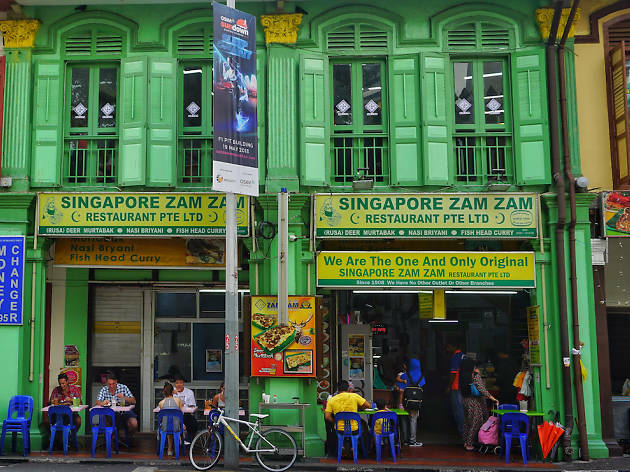 What is Singapore cuisine? That's a question chef-owner Han Li Guang – who quit his high-flying desk job in the banking industry to become a chef – has struggled to answer since he first launched Restaurant Labyrinth. Old iterations of the menu saw him reinterpreting classic local dishes, coming up with creations like chilli crab ice cream and chendol xiao long bao. 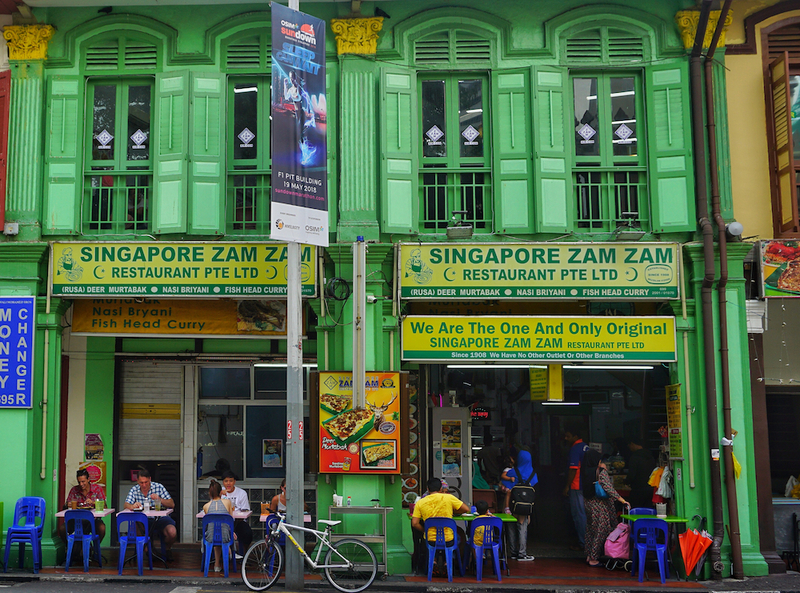 But over the past year, he's been discovering more of what Singapore has to offer through its farm and local producers. The result is a new menu comprised mostly of locally-sourced ingredients. An exquisite clam tart is made using clams from Ah Hua Kelong, layered with housemade XO sambal and Chinese spinach in a tart of deep-fried wonton skin and the Labyrinth rojak comprises of 12 different herbs from Edible Garden City tossed in a natural stingless bee honey and served with a cempedak and jackfruit sorbet. 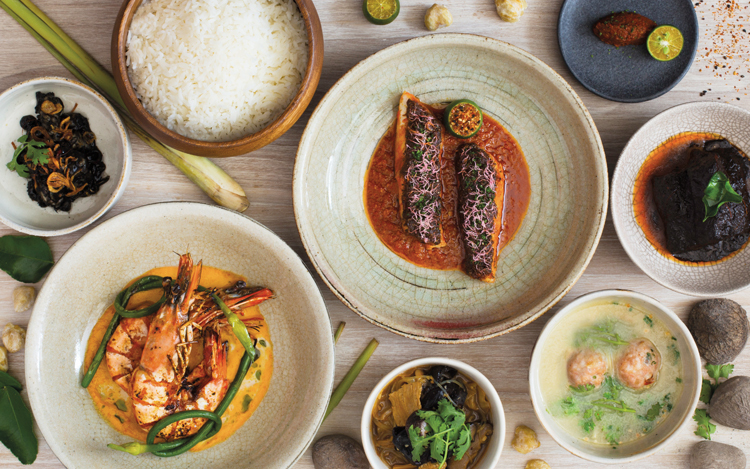 Inspired by the flavours he grew up with – his grandmother's cooking, favourite hawker dishes and the abundance of underappreciated ingredients – he's created an homage to his Singapore we can all be proud of. With so many of its branches earning Michelin stars in Hong Kong, it comes as no surprise that Singapore's sole Lei Garden has earned a nod from Michelin inspectors here, too. 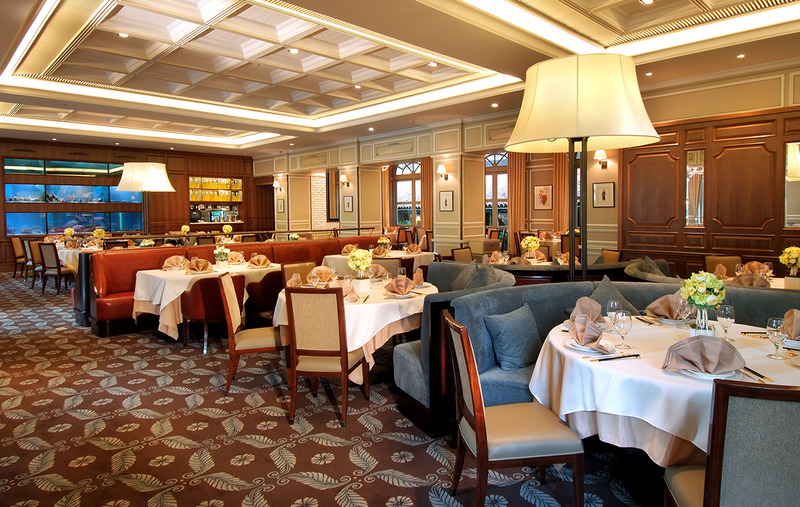 Compared to its counterparts, this restaurant in CHIJMES has a more European look and feel to match its surroundings. 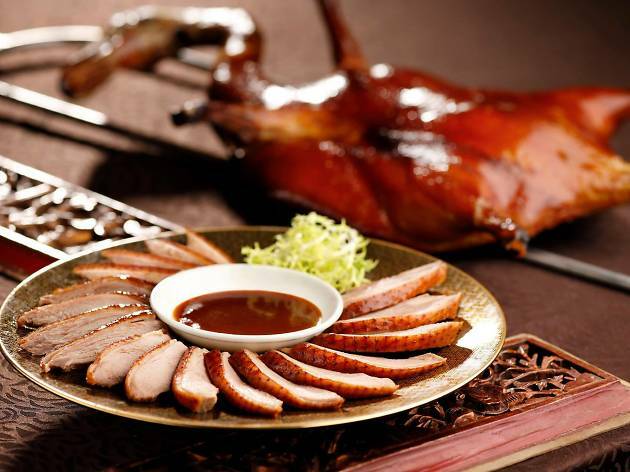 The menu, however, is largely the same as the other outlets: expect traditional Cantonese fare like dim sum and roast meats. The star of the show is the soya sauce chicken ($7 half, $14 whole). The soft skin absorbs all the flavours of the marinade, giving way to tender and succulent meat as you take a bite. 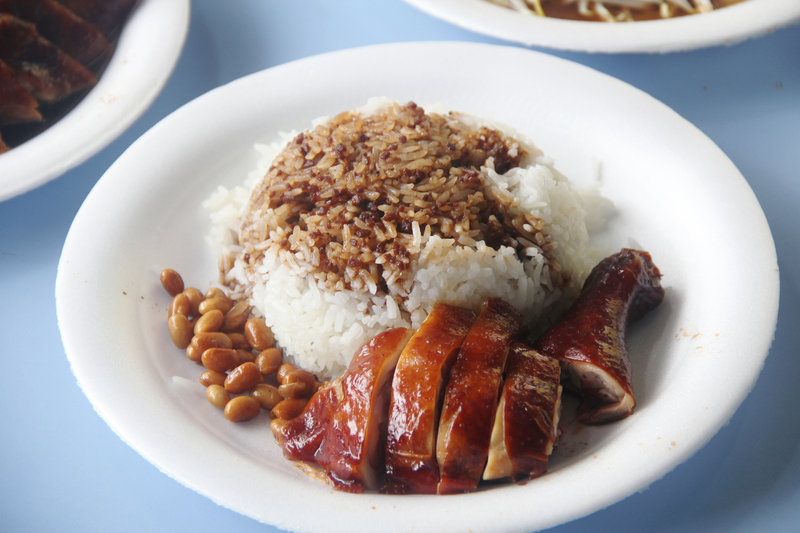 We recommend having it on a bed of rice with a helping of steamed nuts and dark sauce ($2). 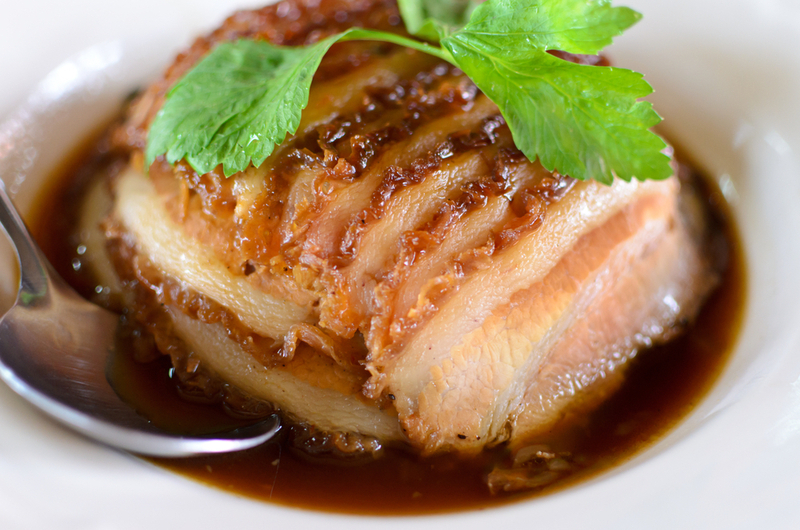 And don't be afraid to pile on juicy and moreish char siew, too. The stall also serves up roasted pork rice ($2.50), pork ribs rice ($3) and dumpling noodles ($3). Vegetable dishes include bean sprouts ($3-$4) and leafy greens cooked in oyster sauce ($4-$5). 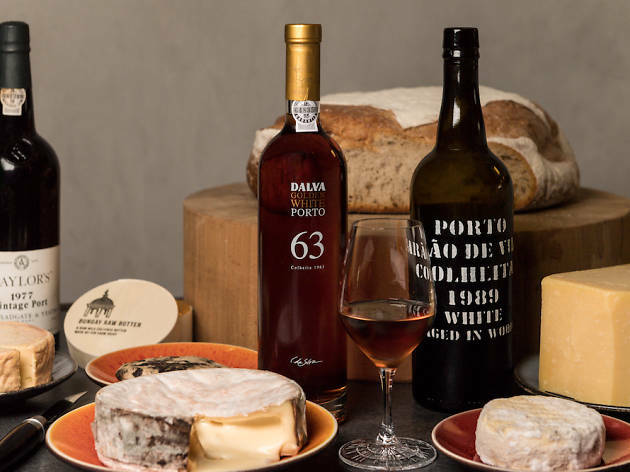 With over 600 labels and 3000 bottles of wine on offer in its leather-bound tome of a menu, Ma Cuisine has cemented itself as a gastro wine bar for the serious connoisseurs. That's not to say that only the stuffy Bordeaux sipping elite are welcomed here – the restaurant's young owners Anthony Charmetant and Mathieu Escoffier want to share their passion for wine with beginners and experts alike, all within a casual setting that also serves homey French food. Let them take you on a journey of discovery, sampling wines such as a La Vie On Y Est Domaine Gramenon 2016 ($98) from Rhone, a Chardonnay Champ Perrier Domaine Tessier 2014 ($88) from Bourgogne and a Pinot Noir Domaine Duroche 2014 ($118) from Gevrey Chambertin. The wines are the focus here, but Escoffier, who used to cook in the kitchen of Saint Pierre, recommends traditional dishes like homemade terrine ($27) and lamb shoulder with root vegetables (market price) to complete the experience. The strapping head chef, with K-Pop good looks on show from the open kitchen, is Sun Kim, who trained at Tetsuya Sydney and Waku Ghin. The shophouse room is a classy, contemporary space where the best seats look into the kitchen (avoid the two seats closest to the unbearably hot lamps) and a row of tables-for-two hugs the opposite flank. The cuisine is the right kind of marriage between French presentation and Asian flavour. 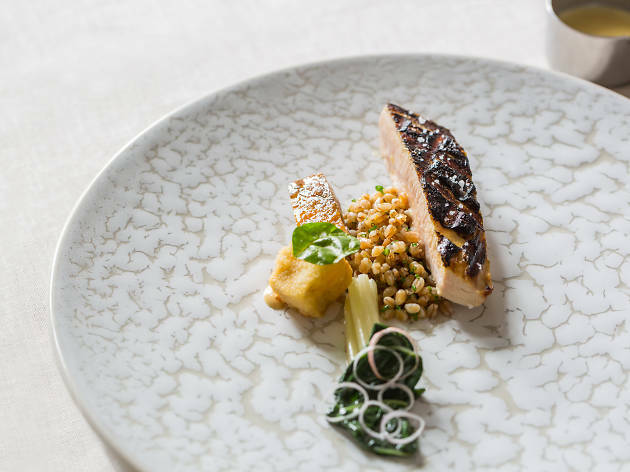 Lunch is available from $58 while dinner changes according to the season and is priced at $118 and $158 for its five-course and seven-course respectively. 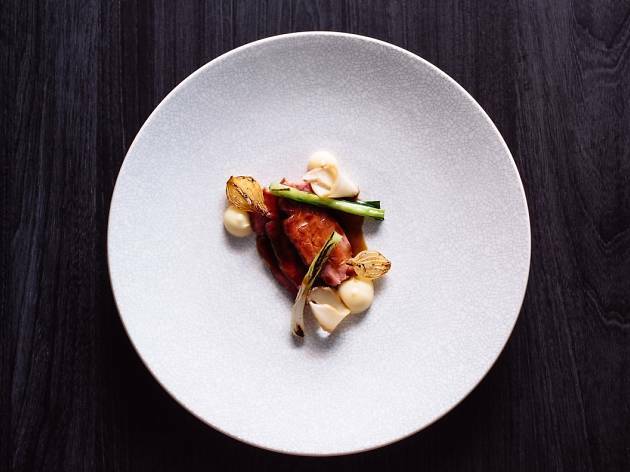 Time Out's best new restaurant of 2017 clinced a Michelin star after its first year of operation. 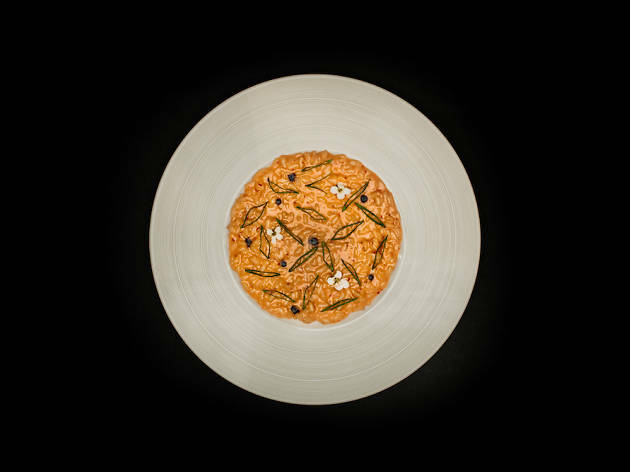 Chef-owner Ivan Brehm has us hooked on what he dubs as ‘crossroads cooking’ – food that takes inspiration from around the world, draws parallels between cultures, and creates an understanding that all of us are fundamentally the same. The idea is to connect people over a meal, as evidenced by the handsome marble counter that runs through half the restaurant. The flavour combinations are inventive yet oddly familiar, and the technique is flawless. 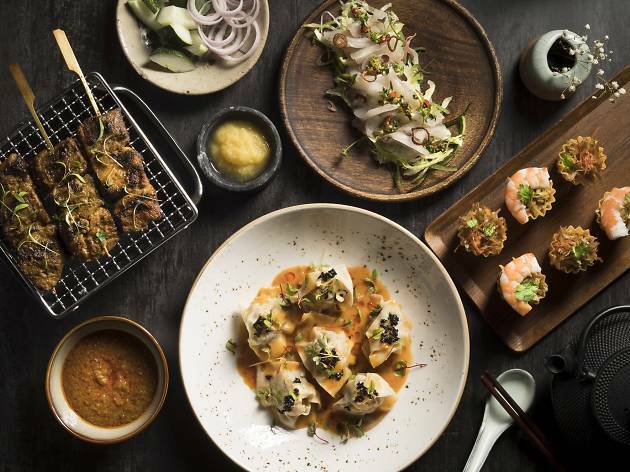 Case in point: the acarajé and vatapá is a nod to Brehm’s Brazilian heritage, except that the dish also recalls Indian, Thai and Singaporean influences. Part of the seven-course chef tasting menu ($170), the fried pinto bean falafel is served in an intense two-toned sauce with salted prawn vatapá in the middle of the plate, and a turmeric and coconut curry on the outer rim, which reminds us of laksa. The first PUTIEN opened on Kitchener Road in 2000 as a humble coffee shop specialising in Heng Hwa cuisine. 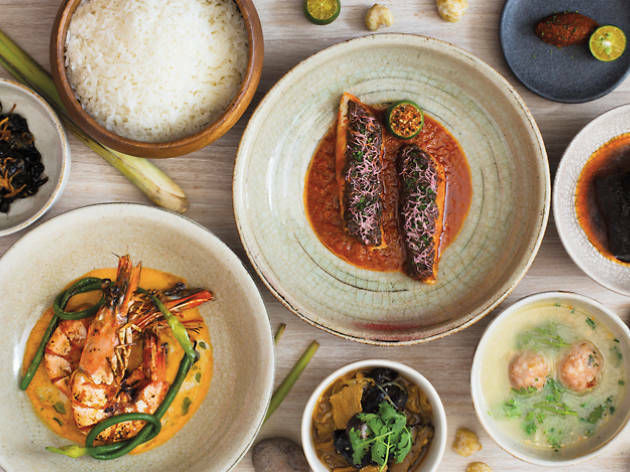 Today, the brand has expanded and now has ten outlets in Singapore, but the food retains its hearty, home-cooked feel on the palate and plate. 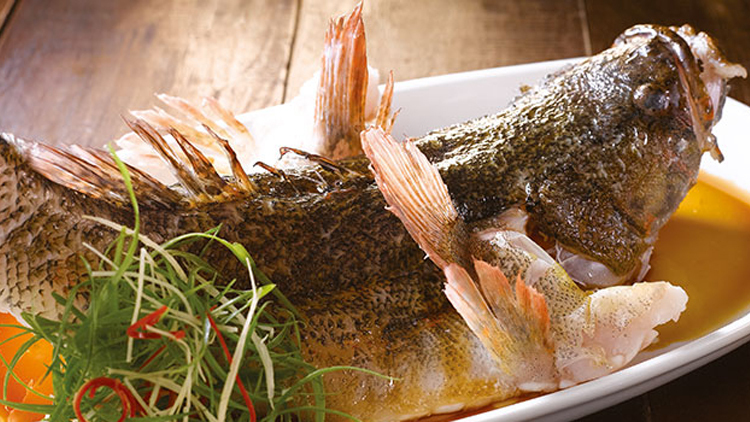 As its name suggests, this casual Chinese restaurant has its roots traced to Putian, a coastal town in the Fujian province of the Middle Kingdom. 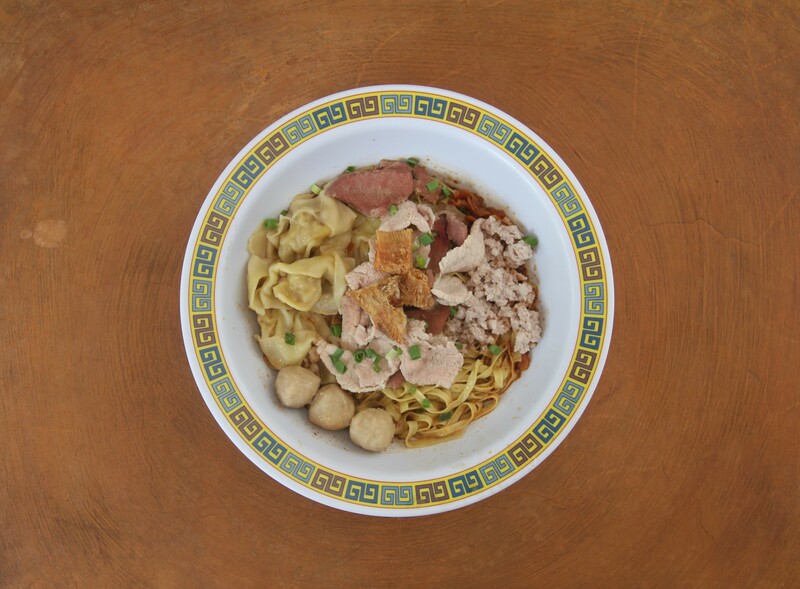 It still imports ingredients like its clams and sun-dried bee hoon from the town, creating a sustainable farming community for locals there. 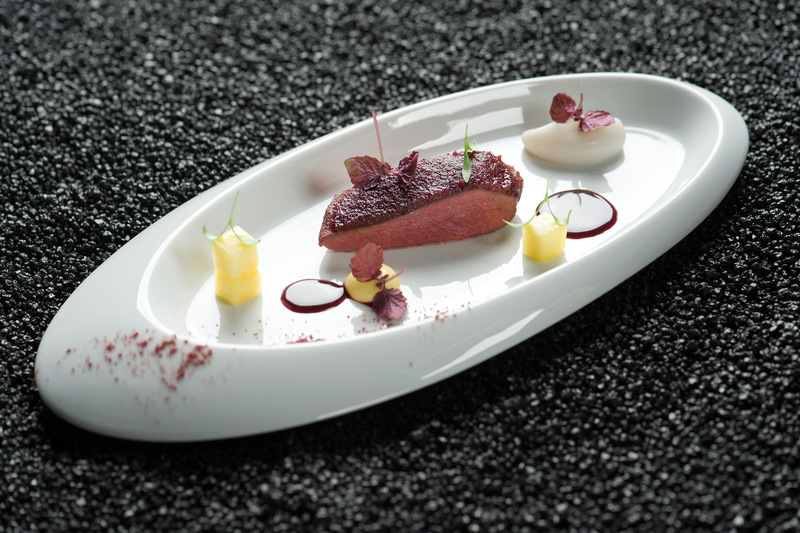 À la carte options like the pigeon with rhubarb and rose purée ($64) may seem like enticing prospects for the homesick European or adventurous eater, but you’ll do no wrong ordering from the set menu. Priced at $138 for dinner, it ranks as one of the better prix fixe menus in town for your buck, with three good-sized appetisers, one main, dessert and coffee or tea included in the deal. It’s very hard to find fault with a restaurant like Rhubarb, so earnest about the fine cuisine and not greedy about its prices. 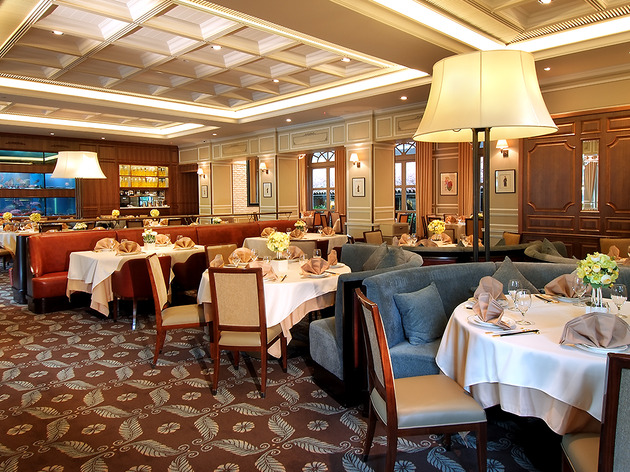 Fancy eating Saint Pierre-style is played out in a long room on the second floor of One Fullerton, where tables of twos and threes get shimmery vistas of the Bay. Bigger groups of six can book a private room, or settle into one of the nooks carved out at the back of the echoey space. 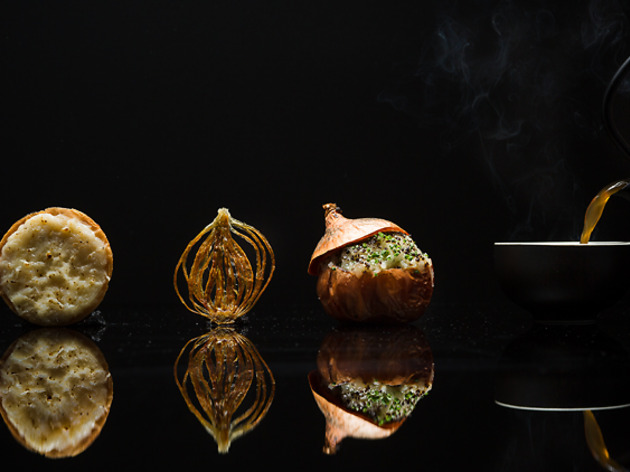 Meals are served in seasonal tasting menus: the classic ($148), the discovery ($188) and the adventure ($248), a behemoth of a menu that encompasses 16 courses. Lunch with the full works is priced between $68 (three courses) and $100 (five courses with cheese), and a tasting menu ($85/four courses) for kids – each dish highlights one of the four tastes – has also been carved out by Stroobant, a father of two. 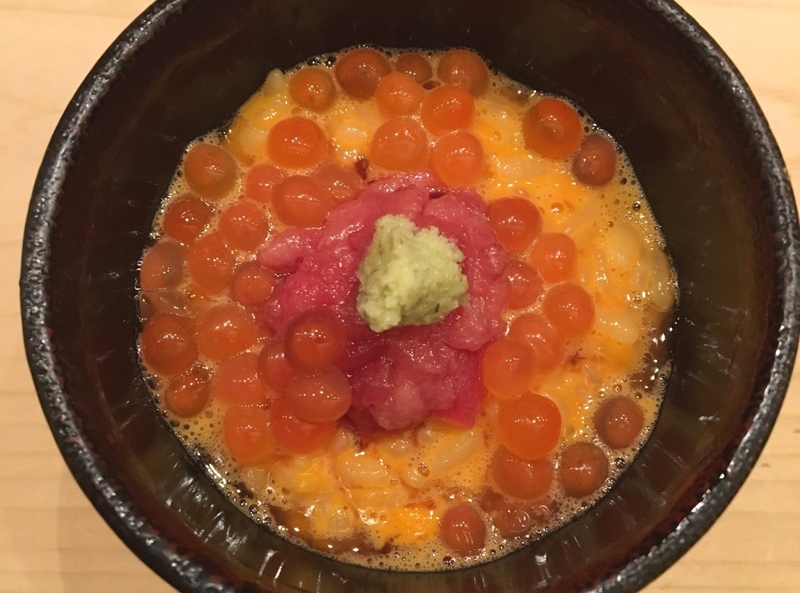 There's a sense of hushed reverence that befalls anyone stepping into Shinji – you're about to worship at the altar of one of Singapore's best sushi bars, after all. Slide open the shoji door and be greeted by three chefs standing behind the counter. With one chef preparing a meal for only three to five people at a time, you're guaranteed an intimate dining experience. Even if you're intimidated at first, give it a few minutes and you'll start to feel at home when the friendly itamae enquires if you have any preferences. The trio is all smiles throughout, explaining each dish as they lay piece after piece of sushi on the plate in front of you. Lunch starts from $75 for nine pieces and includes stellar slices of chutoro, otoro and anago over lightly vinegared rice with a firm bite. And dinner begins at $220 for 15 nigiri pieces, a maki roll and soup. 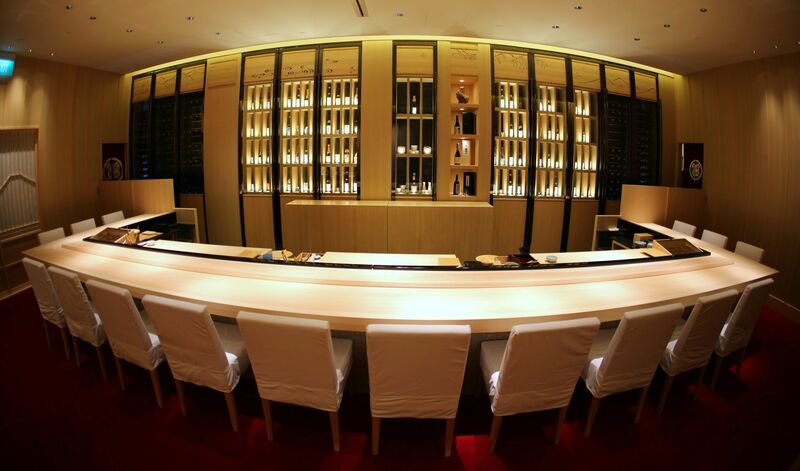 The second outlet of the revered sushi bar is every bit as good as the original in Raffles Hotel. 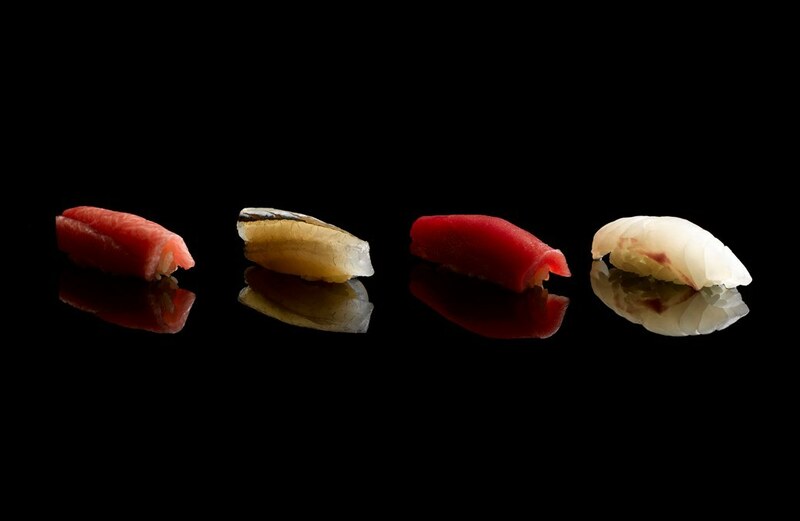 Lunch starts from $125 for 12 pieces of sushi and includes stellar slices of chutoro, otoro and anago over lightly vinegared rice with a firm bite. 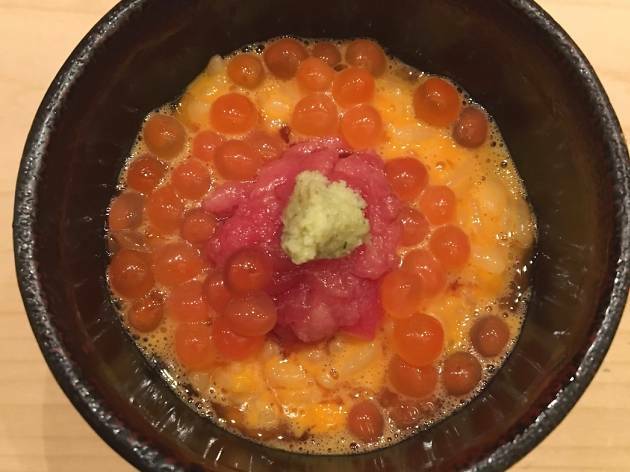 For people looking to have a more extravagant lunch, there is a 15-piece Yuki set at $180 and omakase Yume set at $250, which has both sushi and cooked dishes. 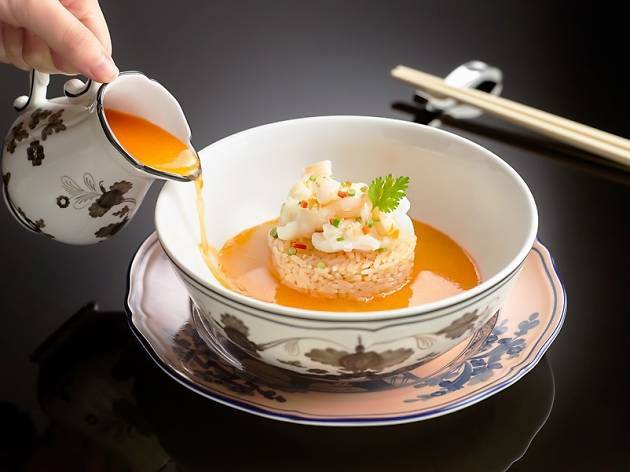 The Summer Palace, one of the grandes dames of Singapore Cantonese restaurants, shows no sign of slowing down. The service remains smoothly choreographed, everyone speaks Cantonese and its fried rice – perfumed by wok hei and each grain falling separately – is still the one to beat. Begin the meal with a fragrant pumpkin soup, and pair the fried rice with cubes of seared Wagyu beef or braised vegetables. If you’re throwing political correctness out of the window, the shark’s fin soup is appropriately unctuous and sweet. To try the best of everything, go for the set lunch and dinner menus (from $88). 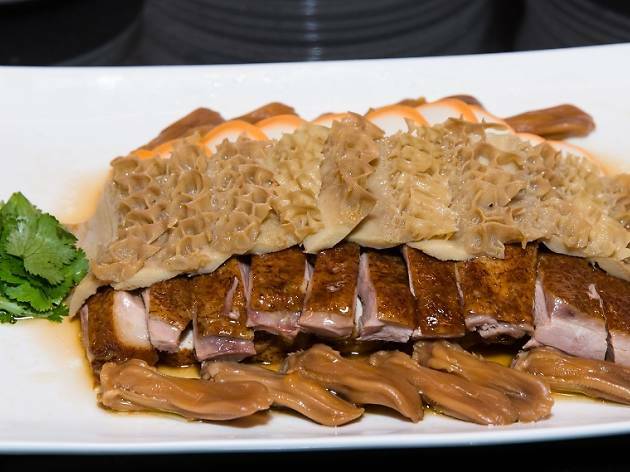 They feature some of chef Cheung Siu Kong’s signature dishes, such as barbecued Iberico pork with honey sauce, and marinated South African abalone with roasted sesame dressing. 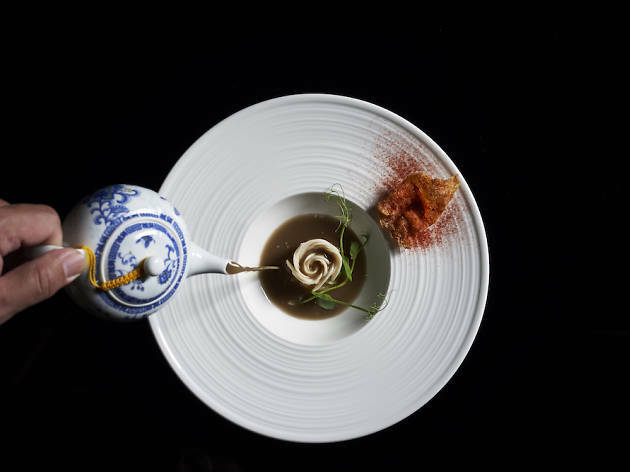 If we had to pick, these are our favourites: the double-boiled sea whelk soup with fish maw and chicken, served in a whole coconut; poached rice with lobster; and diced Japanese wagyu beef. 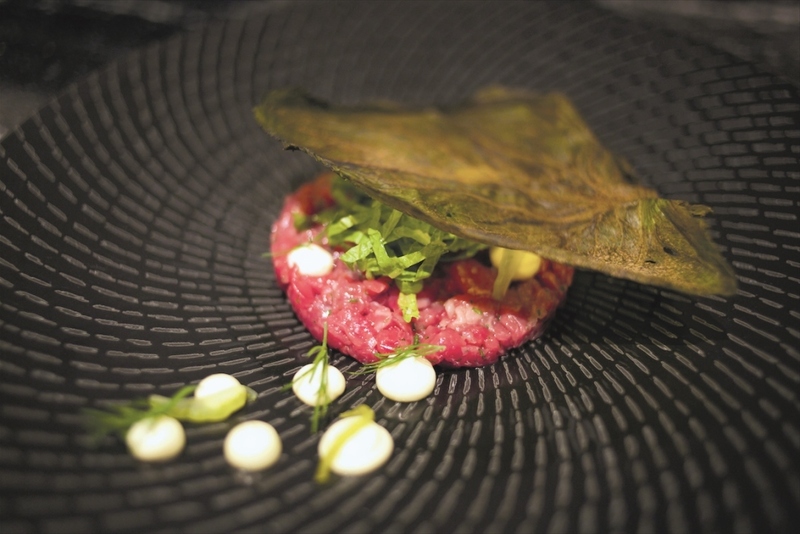 Before Singapore became a hotspot for celebrity chef openings, there was Les Amis. The kitchen team, headed by executive chef Sebastien Lepinoy, now works on Sundays and adds new lunch menus, making Les Amis a little more accessible for the wallet-conscious diner. 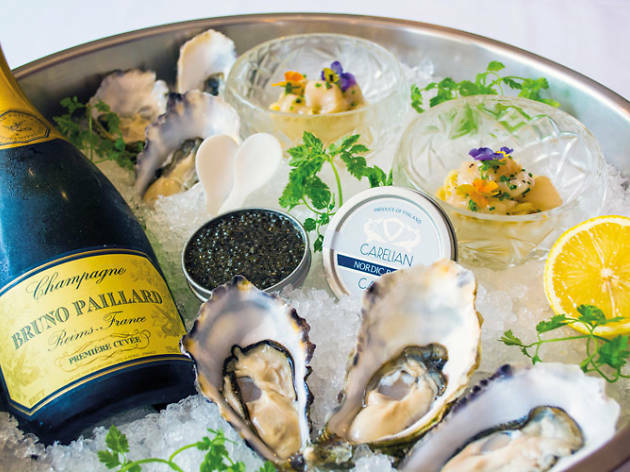 The three-course express option is $65, a full works degustation is $155 for six courses, and the most flexible four-plate prix fixe in town, with multiple cold and hot appetisers, mains and dessert options, goes for just $90. 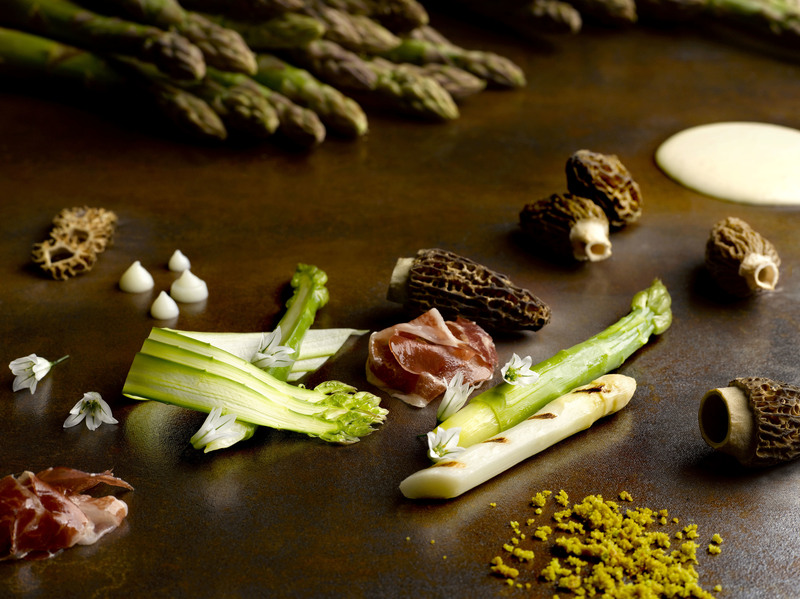 Dinners are a grander affair with six courses starting at $185 and peaking at $295 for nine. 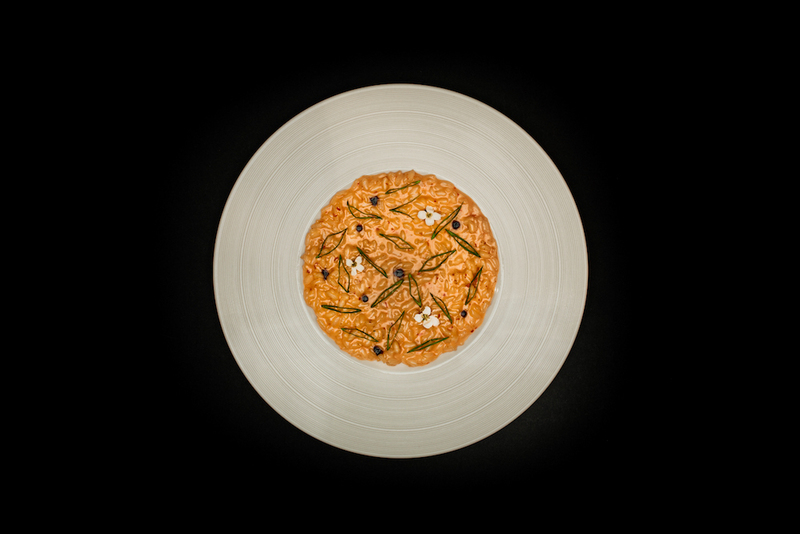 Described as honest food with a steep respect for ingredients cultivated from his farming family in France, Julien Royer’s cuisine prides itself on keeping up with the provenance of its produce. And it’s clear that Royer is one of the few chefs who manage to measure up to the lofty introductions they pen into their menus. Throughout our meal, the heartfelt quality displayed in his ode to his grandmother – after whom the restaurant is named – is fervently palpable. The à la carte menu features chef Chen Kentaro's specialties, such as the stir-fried wagyu beef with Sichuan chili peppers ($34). 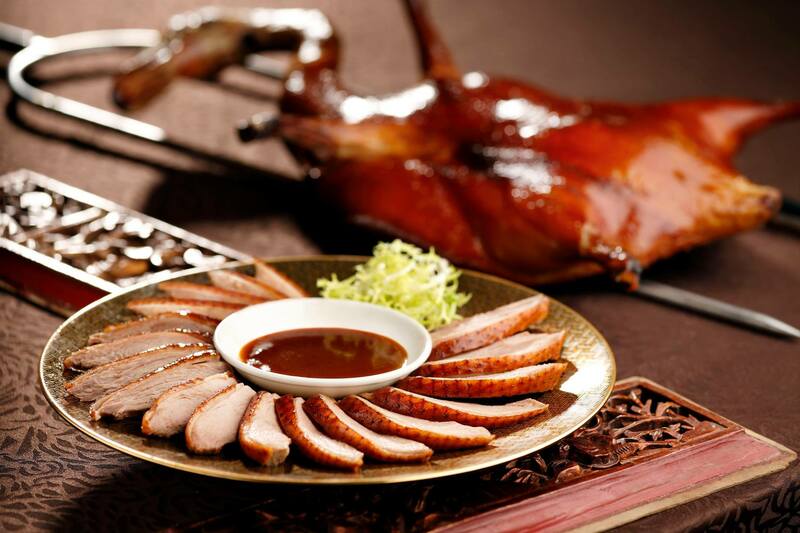 It also has a weekend dim sum brunch buffet that includes Peking duck and other signature selections ($50). In addition to the cuisine perfected by the three celebrity chefs, indulge in a rich dining experience in Shisen Hanten's multi-million dollar interior. ‘Delicate’ seems to be Shoukouwa’s calling card. 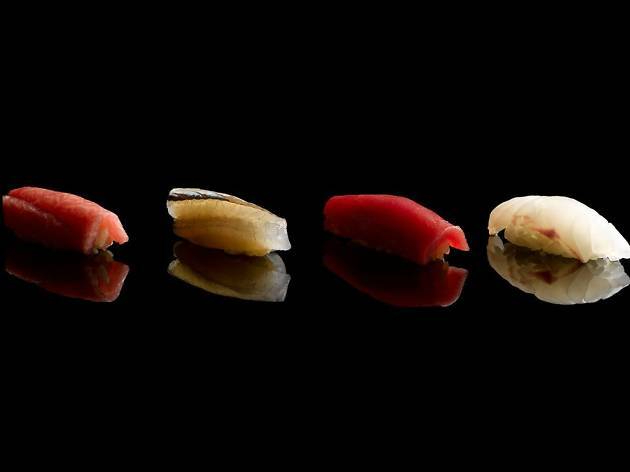 The flavours of its sushi are refined, balanced and feminine – even when compared to other high-end omakase bars. Lunch starts at $150 while dinner escalates to a princely $480. On the sushi train, look out for: tender marinated maguro whose flavours simmer then bloom; a subtly sweet sea eel; a plump slice of tai; and a firm, almost crunchy, halibut. Even the appetiser of tiger prawn, water lily and shiso flower in a vinegar dashi doesn’t so much as hit the right notes than it does hint at them. 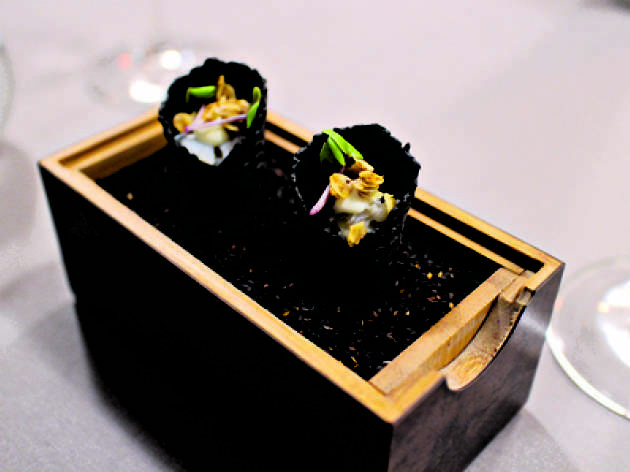 Helmed by acclaimed chef Tetsuya Wakuda, Waku Ghin features Japanese cuisine with a European twist. 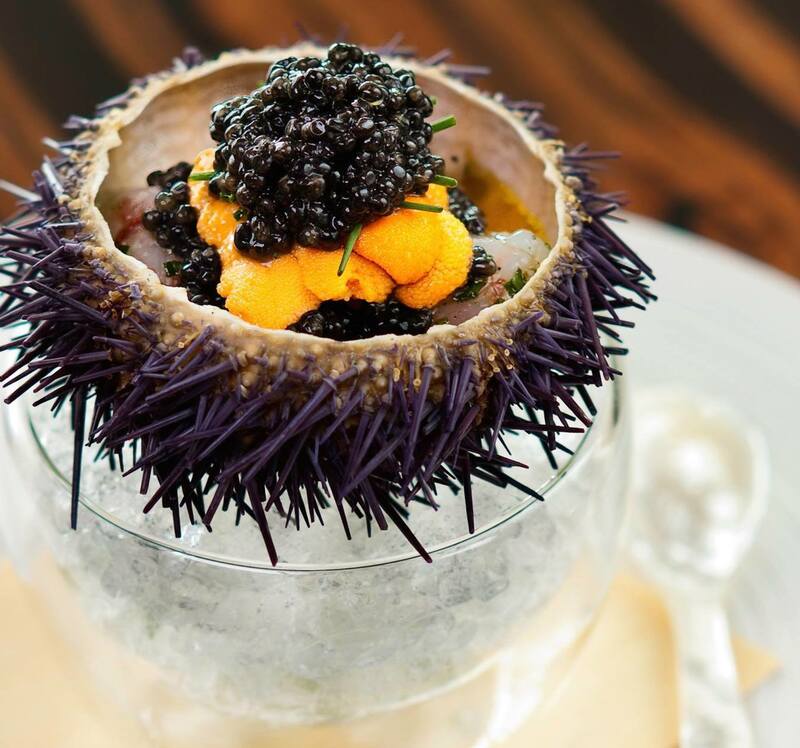 Think ten-course degustation menus featuring ingredients sourced from the region and beyond, with dishes such as marinated botan shrimp with sea urchin and caviar, and wagyu with wasabi and citrus soya. Want more food and drink recommendations?